OK, sorry, but I have a one-track mind when it comes to shoes. If I want a pair, I REALLY want a pair. This is the last post I will do about these shoes until I start wearing them & posting outfits, I promise!! 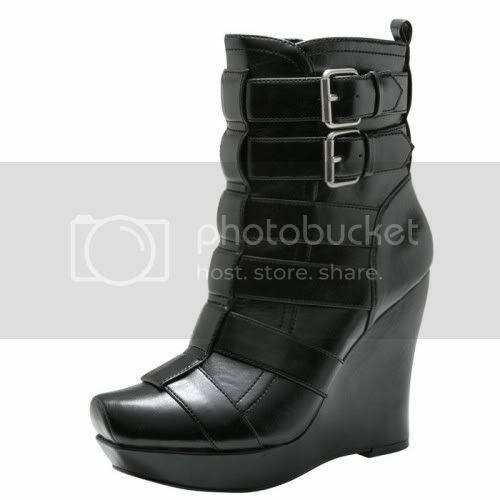 Payless Alice + Olivia Madison biker boots are back in stock. I ordered them & hopefully they will fit! Also, these JCs from Free People are sort of back in stock. They ship late September... I REALLY want them. Someone hide my credit card! oh i LOVEEEE the payless ones. if you get them let me know if they're comfortable, ok? i have my eye on those too. those jc's are fabulous. they'd be cute with tights or socks on for fall. sounds kinda weird, but looks really cute with my ann's.